I know a lot of you may be taking to the roads or the skies for the upcoming holiday. 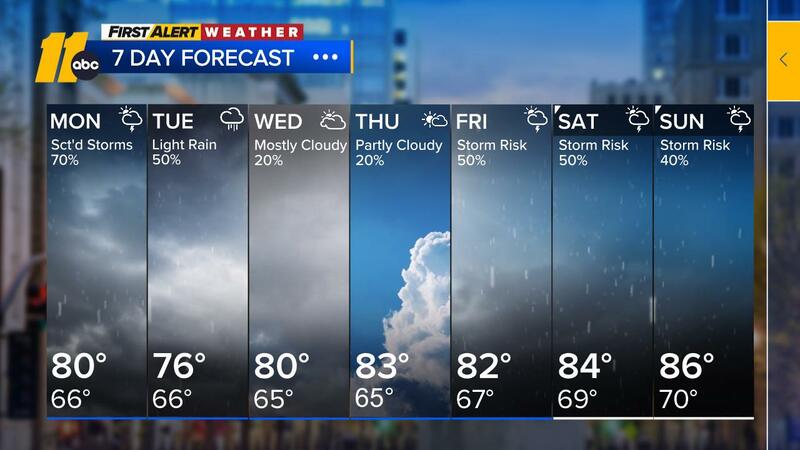 If you are headed out, here's what it looks like the next couple of days. 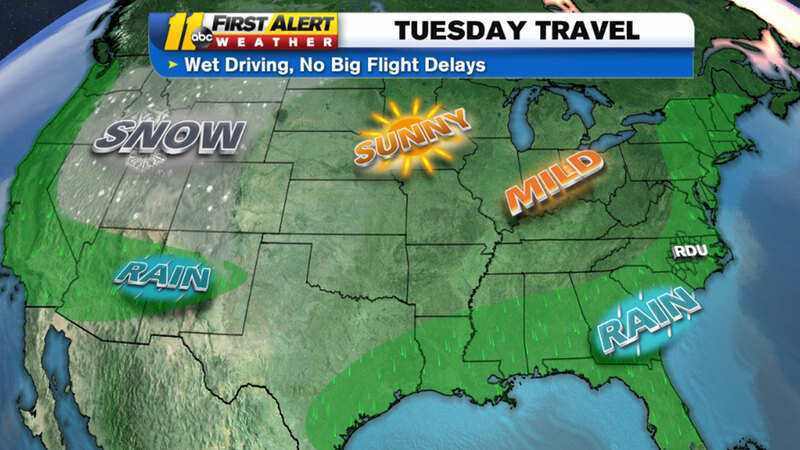 Tuesday - We will see rain up and down the east coast. If you are flying, you may have some delays going into the Megalopolis (Philadelphia, New York, Boston). The other big hubs across the country, including Chicago and Atlanta, should be just fine. The only exception may be Dallas, Texas. It is a major hub for American Airlines and it could see a strong storm this afternoon. If you are driving out of the Triangle, pack your patience. Heavy rain will continue off and on across the Carolinas, Virginia, and Georgia. Wednesday - This could be the most troubling day for flyers around the country. Potent rains will work through Chicago and Atlanta and may spread delays through the system. Also, Nashville sometime has a heavy flight load run through it, and they could see delays. If you're flying out West, the snow continues to fly through the Rocky Mountains, but they should be able to manage. Driving will be another wet day up and down the East Coast. Pack the patience. Christmas Eve - Flying could be problematic again through the Northeast corridor and New England, depending on when you are flying in. The major hub at Atlanta could see a few delays as strong showers/possible storms roll through. The West continues to see snow with heavy snows in northern California. Closer to home, driving should be a little easier today. Though we'll see rain around, it will be spottier shower activity, as opposed to the abundant rain we saw on Tuesday and Wednesday. If you are heading west to Tennessee or north to West Virginia, they will see heavy rains at times. Finally, it's kind of advertisement, but it's also the truth. Download the ABC11 First Alert Weather app. If you click on it when you get to your destination, it will remember where you are and send you watches/warnings/advisories as they are issued. I use it all the time when I travel. If you're hitting the roads this holiday season, good luck and safe travels!